Washington Square Press, 9781439101940, 272pp. From acclaimed poet and novelist Jill Bialosky, the New York Times bestselling exploration of her sister’s suicide and the lifelong impact it had on those left behind—“a beautifully composed, deeply reflective work” (Publishers Weekly). 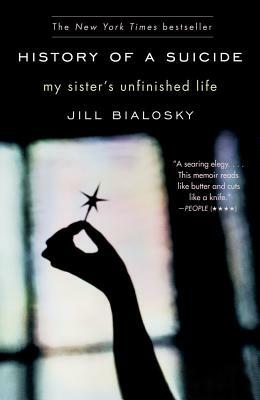 Jill Bialosky is the author of four acclaimed collections of poetry. Her poems have appeared in The New Yorker, The New York Times, The Kenyon Review, and The Atlantic, among others. She is the author of three novels, most recently, The Prize, and a New York Times bestselling memoir History of a Suicide: My Sister’s Unfinished Life. Jill was honored by the Poetry Society of America for her distinguished contribution to the field of poetry in 2015. She is an editor at W. W. Norton & Company and lives in New York City. "A tender, absorbing, and deeply moving memoir...[Bialosky] writes so gracefully and bravely that what you're left with in the end is an overwhelming sense of love."